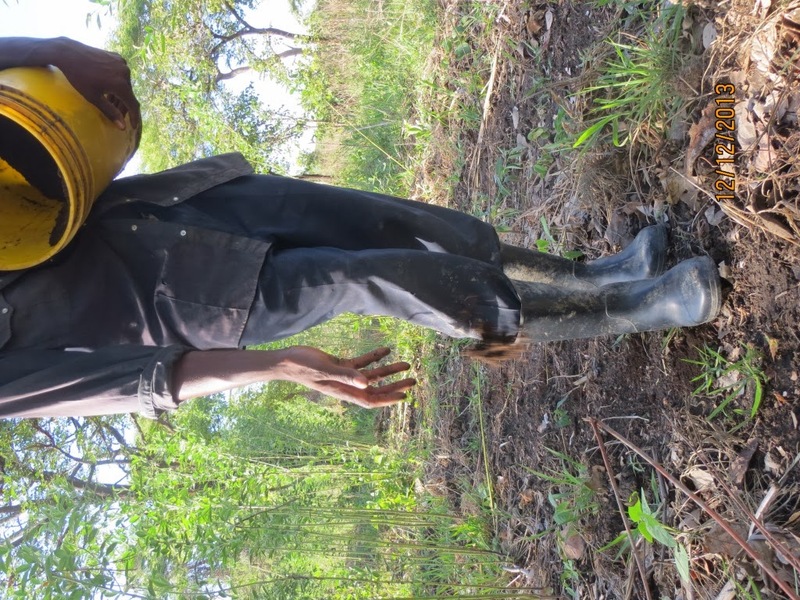 This is about where we’re at to plant on time, get good germination and save labour! Clear residue out of planting rows to facilitate easy planting with the dibble stick. Use rope or follow last years rows to get straight lines. Make sure you’ve ‘scratched’ clear the rows before the 15th of November! Make sure the manure is as close to the field as possible before the rains start. 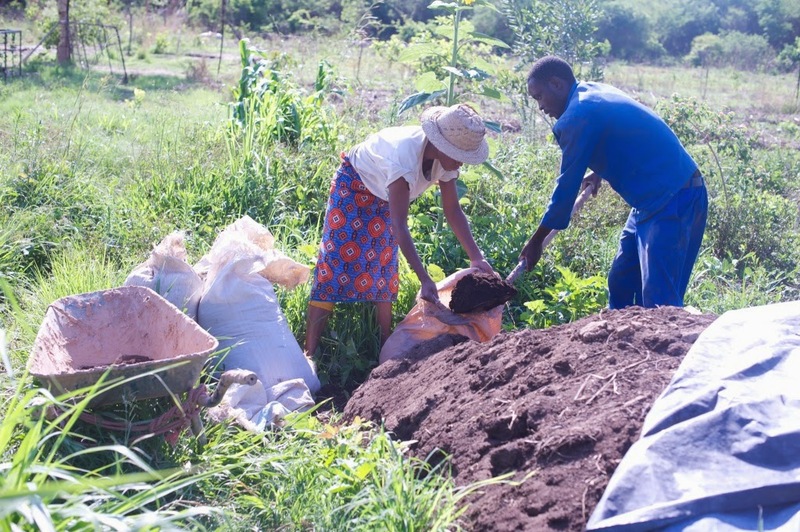 Remember – always cover the manure to save nutrients! Follow the scratch lines and punch holes with the dibble stick. Make holes 35-40cm apart in the row. 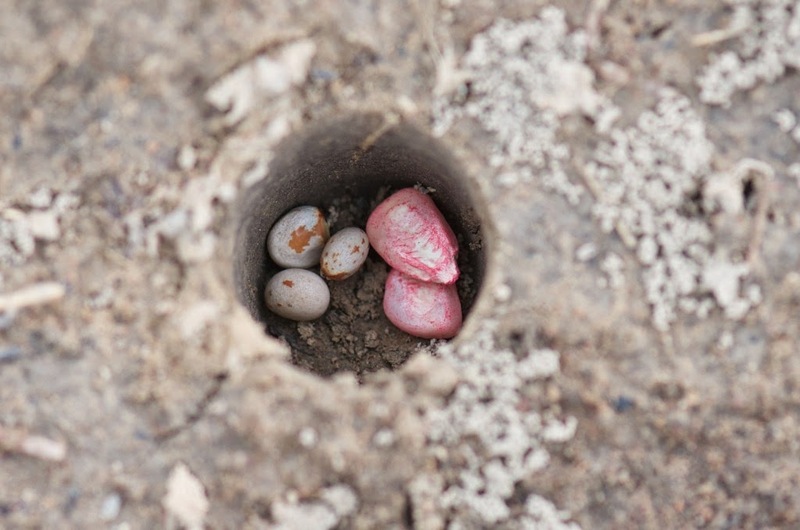 Plant maize and pigeon pea in the same hole. 2 seeds maize 3-4 seeds pigeon pea. Cover with loose soil to make sure the soil falls down to the base of the hole. 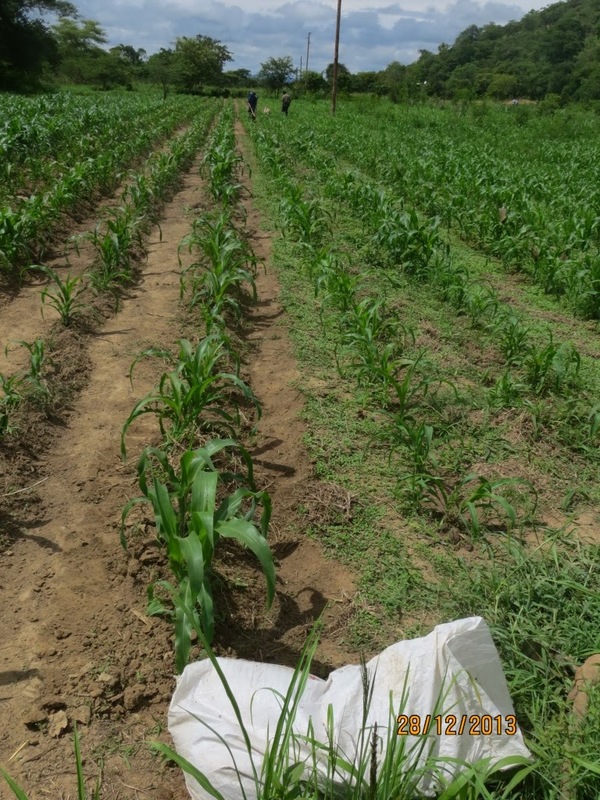 For maize, residues are cleared before the first planting date (NOV 15th for us). This year we were also chipping weeds in the rows due to the early rains. A line can be used if you can’t follow the rows from last year. All our dry land crops are planted on 90cm row spacing. 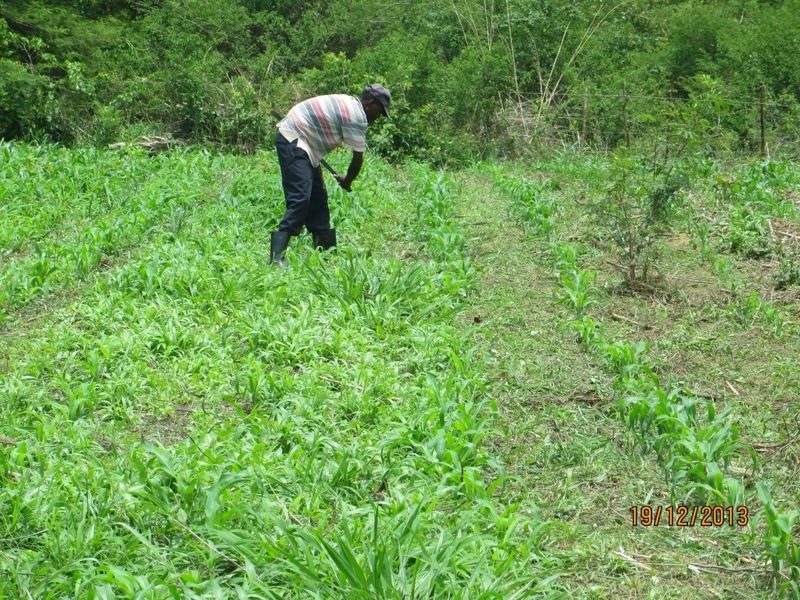 Here, pigeon pea is planted together with the maize. 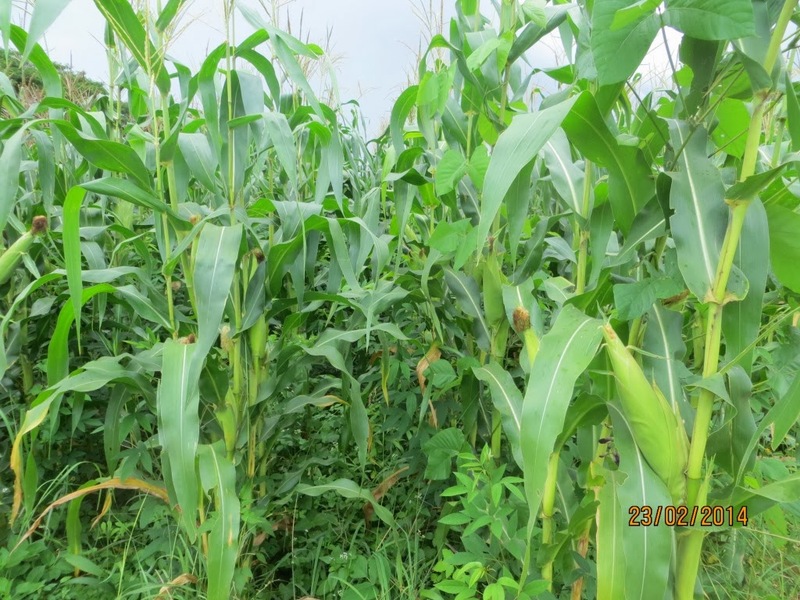 3/4 seeds of pigeon pea to 2 seeds of maize. Hole are made 35-40cm apart in the row. 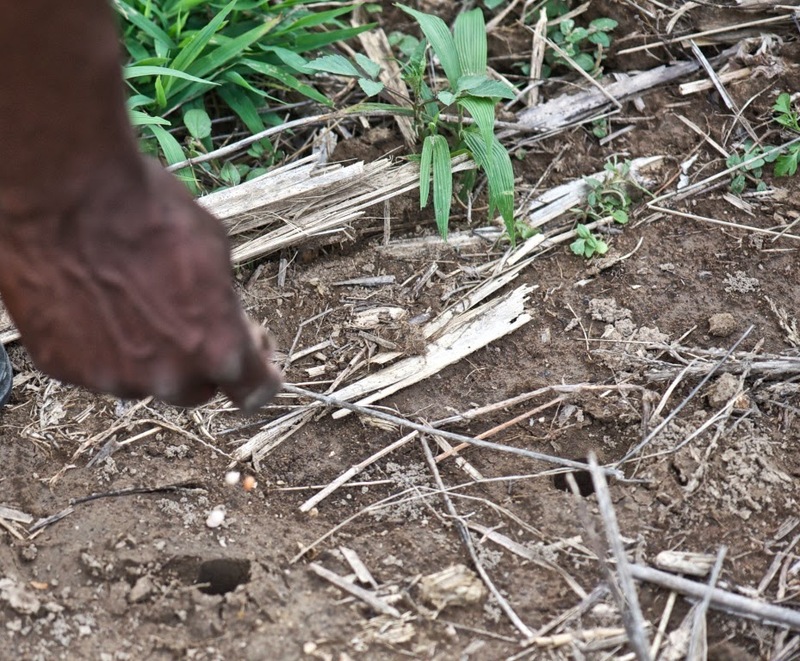 Seeds are either covered with well decomposed manure or, as shown in this picture, with loose soil. If you use soil to cover the seeds, the soil must fill the hole and no air pocket should be left in the hole. Here, perennial green manures (Stylosanthes Guainensis in this case) grow between the rows and will later be slashed back to release nitrogen. One person makes holes, one throws seed and the other covers with manure. 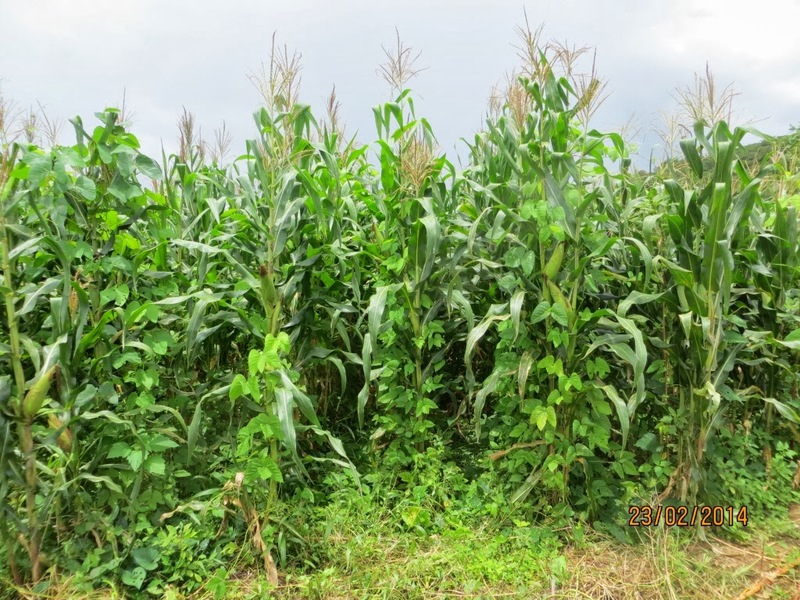 Here silverleaf desmodium grows between maize rows. 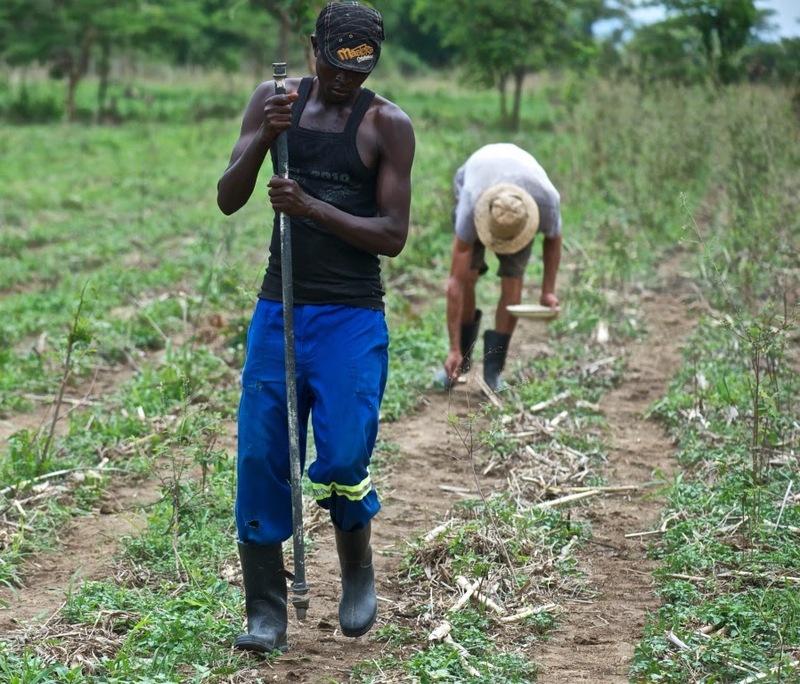 Slashed green manures allow the crop to grow on and cuttings decompose and release nitrogen into the soil. Ooops! 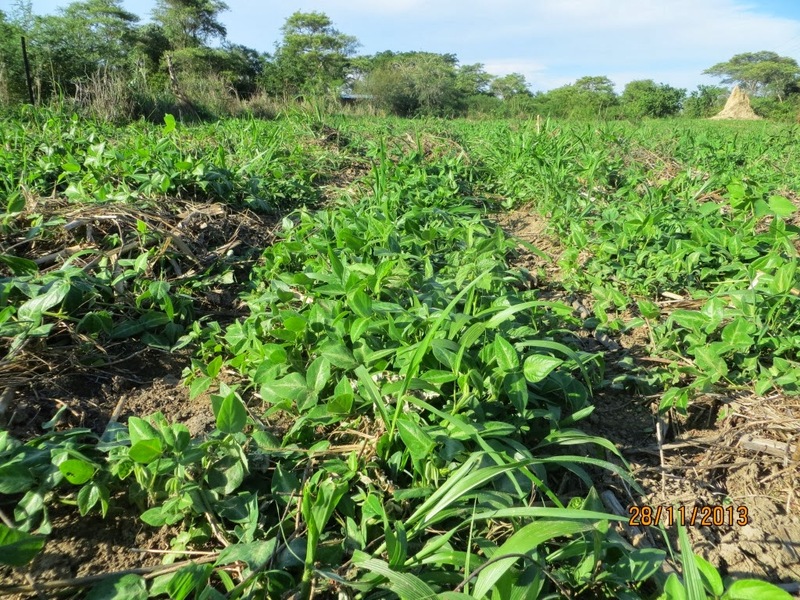 Here maize is planted between established pigeon pea plants. 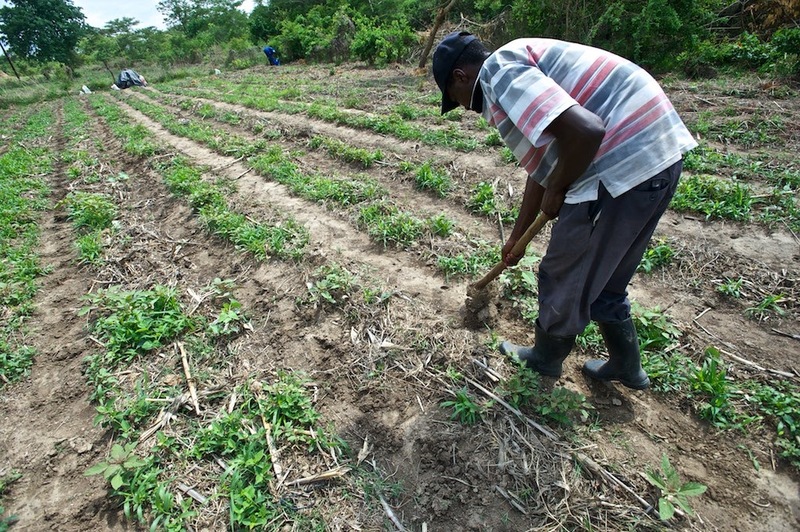 After planting, pigeon pea is cut back to form a mulch which decomposes to add nutrients to the soil. 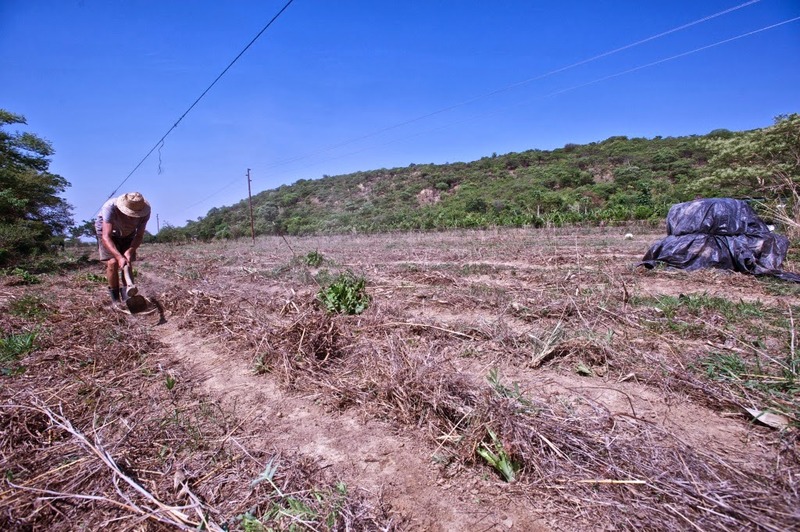 The pigeon pea grows back with the maize. 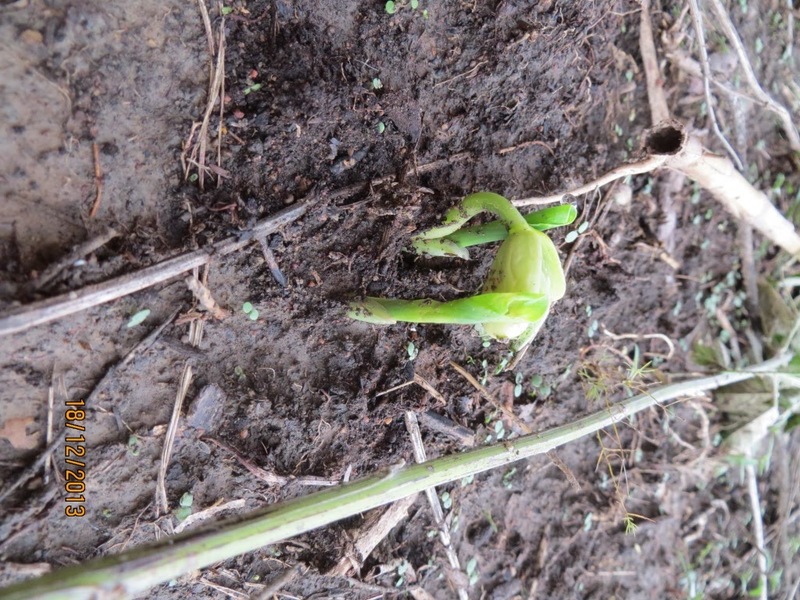 Maize germinating with climbing beans. 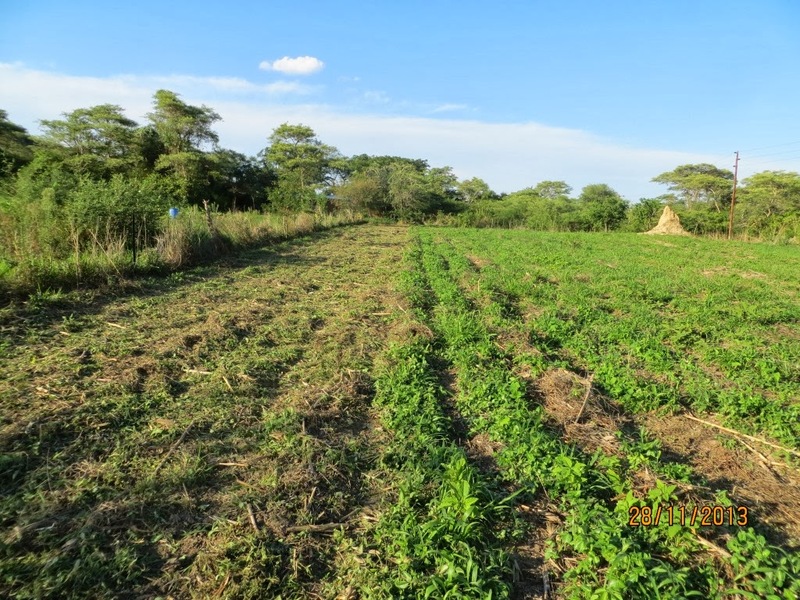 With silverleaf desmodium as a permanent ground cover, weeds are cut back 2 or three time during the growing season and left to grow in the canopy of the maize. 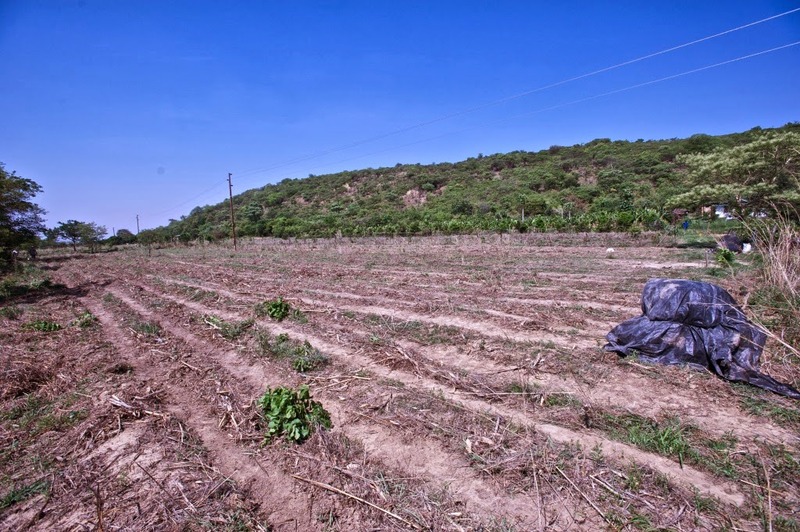 The deep rooting silverleaf provides livestock with high quality forage throughout the dry season. 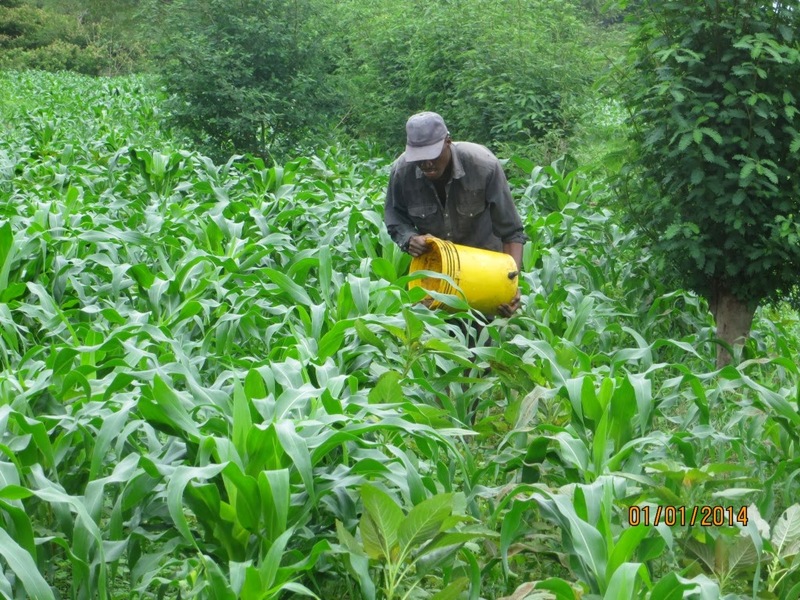 Maize grows faster than the pigeon pea so there is no competition on the maize crop. 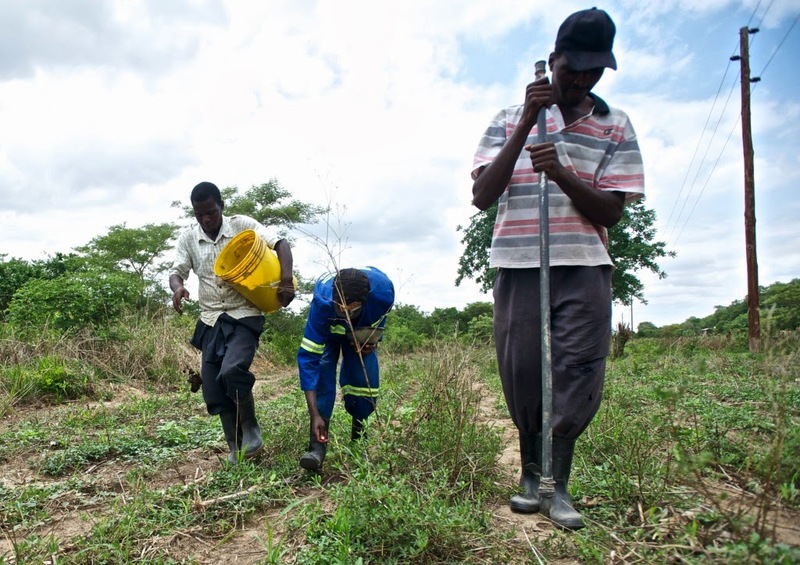 Pigeon pea grows together with the maize in the same planting station – this allows for efficient weeding. 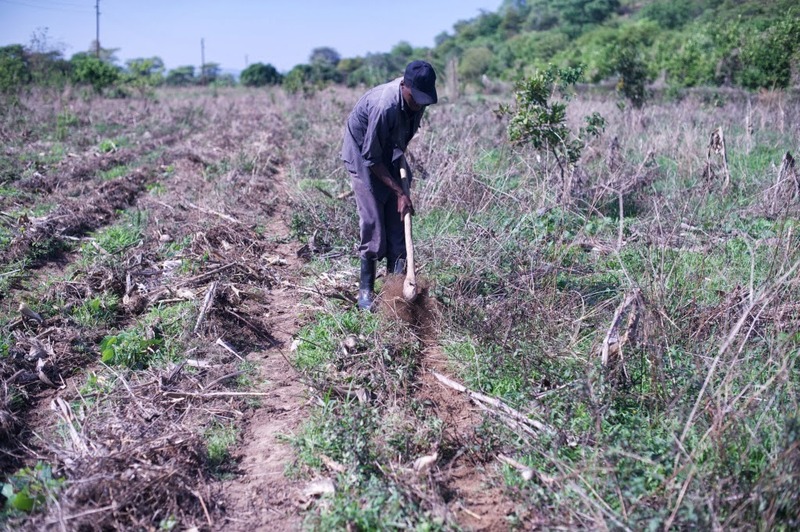 Where pigeon pea is planted between the rows, weeding becomes slow and often many pigeon pea plants are killed during weeding. 2-3 weeks after slashing the weeds back, manure is applied as a top dressing just before the final weeding. 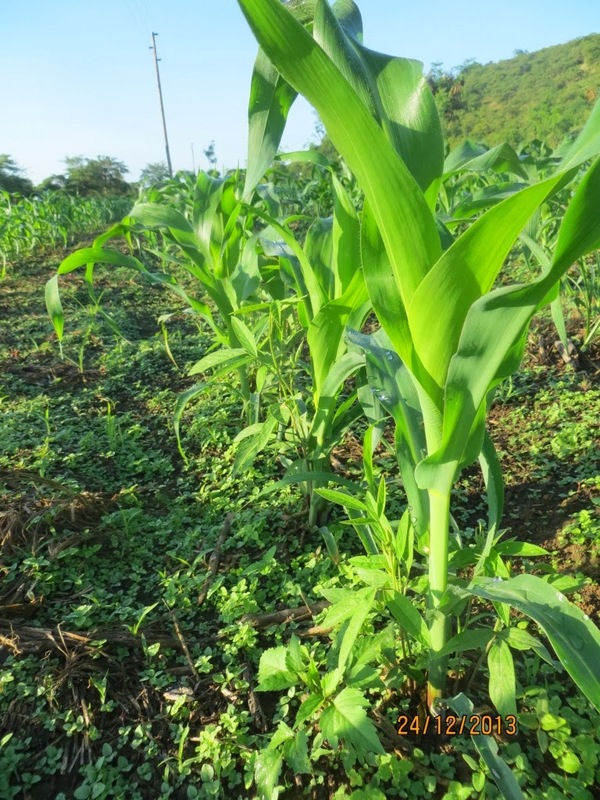 Maize is almost mature and the pigeon pea grows on in the canopy. Here velvet bean grows up the maize plants.